T-Mobile is the last major carrier in the US to provide Samsung Galaxy Note 8 owners with the long-awaited Android 9.0 Pie update. 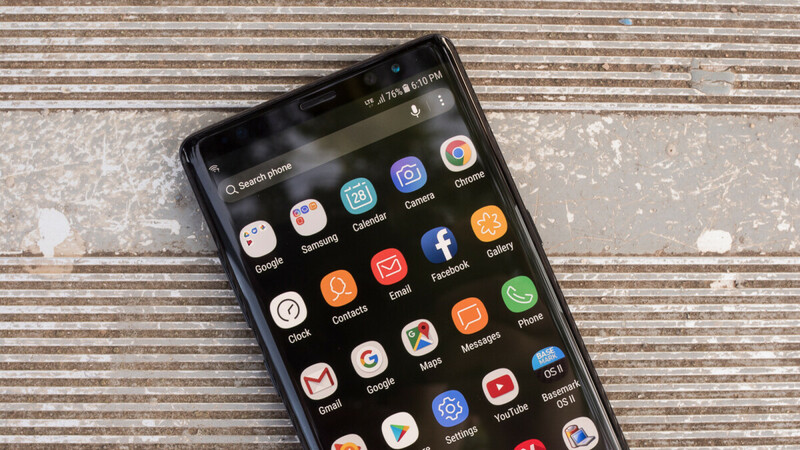 Starting April 5, the Un-carrier is rolling out Android 9.0 Pie for Samsung Galaxy Note 8, so if your device meets the update requirements, you should be able to download it in just a few days. As always, T-Mobile is deploying this on a scheduled daily limit to prevent network congestion, which means it will not be available to everyone at the same time. However, by the end of the next week, all T-Mobile Galaxy Note 8 owners should receive the update, so make sure to check back again the next day if it doesn't show up on your phone immediately. As far as the contents of the update go, T-Mobile is a bit vague, but it does mention that besides Android 9.0 Pie, users will get “various bug fixes and system improvements.” Also, it would make sense for the update to include the March security patch as well. Now, in order to make that you'll be able to download the update, make sure that your Samsung Galaxy Note 8's battery is at least 50% charged and that you have 1.8GB storage available. To check whether or not you can update to Android 9.0 Pie, head to Settings / Software update / Download update manually. Nice!! I’ll check mine when I get home. Guys mine is an unlocked version of Note 8 purchased in US, but being used outside of US.. I am yet to receive the update even after lot of other country phones received it including many carriers in US. When can I expect the update? How long has Pie been out now?? DON'T Download it unless you are prepared for Problems and Issues that Android PIE will bring to your phone. I HAD to Downgrade back to OREO because of All of the Problems and Issues that PIE brought and caused.